LinkPlas, offer a complete, confidential and innovative design service from concept to 3D modelling, utilising the latest in CAD design to develop custom packaging solutions. LinkPlas use their expertise to combine all the requirements of the client, resulting in a unique design to create brand identity, a self- promoting product and increase of sales. Historically tooling prices have been a barrier in the development of new P.E.T bottle projects. 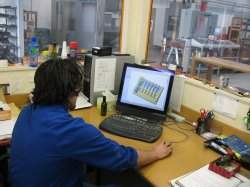 With this is mind LinkPlas has developed a new interchangable tooling system to keep the costs down. 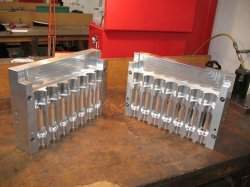 Once a 3D model drawing is approved, a shrinkage factor is applied and the moulds are automatically machined on the top of the line CNC mills. For intricate work an EDM wire cut machine is utilised in a temperature controlled room for accuracy. 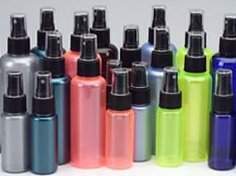 Colours can help you to differentiate your product on the shelves from your competitors and can also create a completely new identity for your product.